Welcome to the web-site of Sianworth Border Collies. Parts of our site are still under construction so please visit again to see our updates. Visit each of our dogs on their own page and you can find out about them. 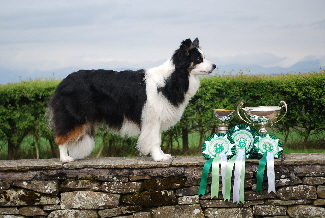 All are much loved pets and some grace the show ring with great success. Visit our photo page to see shots of our dogs enjoying life to the full in the West highland forests and on the beaches. If you would like more information about our dogs please contact me Sian Jones on the links below. 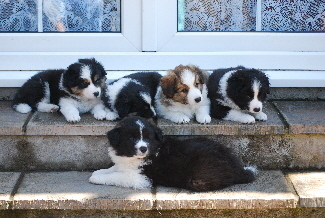 Please e-mail us at sian@sianworthbordercollies.co.uk or call us at 01631 720516. Please note most pictures on this site are copyright of Sianworth Border Collies and MUST NOT be copied or reproduced without written consent.